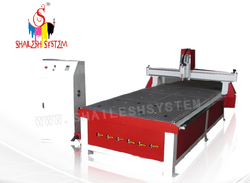 We have marked a distinct and dynamic position in the market by providing a high quality array of CNC Router. 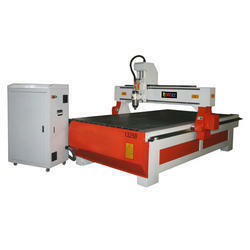 We are engaged in offering a quality approved range of CNC Router. Applicable : Wood processing of various furniture such as door, window, cabinet, craft, wood door, wood screen and so on. Application: WOOD, MDF , ALLUMINIUM , BOARD ETC. u Travelling speed can be up 22m/min. u X, Y & Z Axis Rack-pinion system(No Belt’s System). u Own function of restoring from power off, continuation from break point repeat engraving, support Nine co-ordinate positioning. u Upgrade to FPGA colored LCM controlling system with 4GB inner memory.